Q. Can you produce replacement graphics for my display stand? A. Yes. 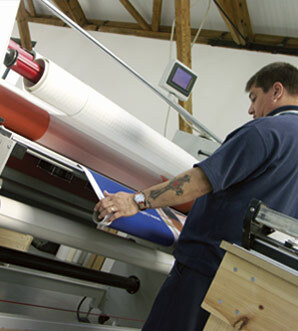 We can supply you with fresh new graphics to the highest standards available for any display systems that you may have. Whether you purchased the display from us or anyone else. Q. Can you advise me on how to set up artwork? Q. I don't have any artwork prepared, can you do it for me? A. Of course. We have a complete in-house design service and would love to design your stand or display for you. After all - its what we do best! Q. This is our first exhibition - can you offer advice for us? If you have any questions whatsoever please contact us on 0845 643 4416. Q. What are your turnaround times? A. We produce most of our portable displays within 5 days. For most exhibition stands, we usually allow around 15 days. If you need your display sooner then please contact us and we should be able to meet your deadline. Q. Can you hire me an exhibition stand? A. We'll do better than that. We will design you a bespoke exhibition stand individually tailored to your needs and rent you the whole thing. If you need to we can hire you the furniture and accessories and even the floor as well. Q. I don't have time to organise the details, can you liaise with the event organisers for me. A. No problem. We can arrange the electrics, Internet and all other details of your stand, making sure everything runs smoothly and you have a stress-free and successful exhibition.